1.01 The University regulates the presence of pets and other animals in University buildings and on campus grounds in order to maintain sanitation and health regulations as well as to reduce the risk of personal injury. 1.02 All research animals on campus are regulated according to the guidelines of the Canadian Council on Animal Care – Guide to the Care and Use of Experimental Animals Volume 1 and Volume II, and the Government of Ontario Animals for Research Act, Revised Statutes of Ontario, 1990, Chapter A.22. These regulations are supervised and enforced by the Veterinary Services Board of the Ontario Ministry of Agriculture, Food, and Rural Affairs. 1.03 All service animals on campus are regulated according to the guidelines of the Accessibility Standards for Customer Service, Ontario Regulation 429/07 under the Accessibility for Ontarians with Disabilities Act (AODA), 2005. 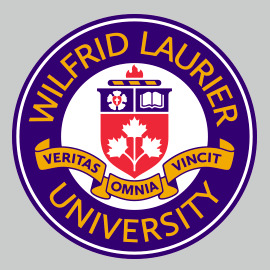 A building that is owned, operated, leased or rented by Wilfrid Laurier University. Any pet or animal other than a service animal. a) A member of the College of Audiologists and Speech-Language Pathologists of Ontario. b) A member of the College of Chiropractors of Ontario. c) A member of the College of Nurses of Ontario. d) A member of the College of Occupational Therapists of Ontario. e) A member of the College of Optometrists of Ontario. f) A member of the College of Physicians and Surgeons of Ontario. g) A member of the College of Physiotherapists of Ontario. h) A member of the College of Psychologists of Ontario. i) A member of the College of Registered Psychotherapists and Registered Mental Health Therapists of Ontario. 3.01 This policy applies to all Laurier employees, students, and visitors. 3.02 This policy does not supersede relevant legislation, lease or rental obligations. Animals are excluded from all university buildings including residences. Animals shall not be brought into any university building, even when under restraint of a leash or other control. This exclusion does not apply to service animals, animals used by the University for teaching, research, or other pre-authorized University activities. The University is committed to welcoming people with disabilities who are accompanied by a service animal on the parts of our premises that are open to the public and other third parties as outlined in policy 8.10 Accessible Service Policy for Persons with Disabilities. a) Service animals are permitted to accompany a person on campus if it is readily apparent that the service animal is used by the person for reasons relating to his or her disability or if the person provides a letter from a regulated health professional confirming that he or she requires the service animal for reasons relating to his or her disability. The service animal must fulfill a clear and explicit function or service. b) Persons with disabilities who are accompanied by a service animal will be permitted to enter the University’s premises and to keep the animal with them, unless the animal is otherwise excluded by law from the premises (i.e. breed of animal or a health and safety concern). c) If the animal is legally excluded from the premises, the University will provide alternative measures to enable the person to obtain, use or benefit from its services. d) It should be noted that it is the responsibility of the person with a disability to ensure that his or her service animal is kept restrained and under control at all times. e) If the service animal is not behaving in an acceptable manner (ie. barking repeatedly, exhibiting violent or disruptive behaviour, etc. ), found to be unrestrained, or found not in the presence of the person with the disability at all times while on University premises, the person responsible for the animal is in violation of this policy. f) Any concerns about (i.e., allergies) or violations of this policy with regards to service animals should be reported to the AODA office immediately. The person responsible for the service animal may be subject to a review of the use of the service animal by the AODA officer. a) Careful consideration should be given to the needs of the animal and the sensitivity of other members of the community when bringing animals on campus. b) Animals are not permitted to run loose on campus. Animals brought on campus should be properly licensed under the appropriate municipal by-law and restrained by means of a leash or other control at all times. Animals may not disrupt or interfere with University activities, including but not limited to teaching, research, service or administrative activities. c) Any violation of these regulations with regard to animals should be reported to Special Constable Services immediately. d) Owners/guardians are responsible for cleaning up after their animals, as enforced under municipal by-law. Owners/guardians are liable for any damage to property or injury to persons caused by their animals.